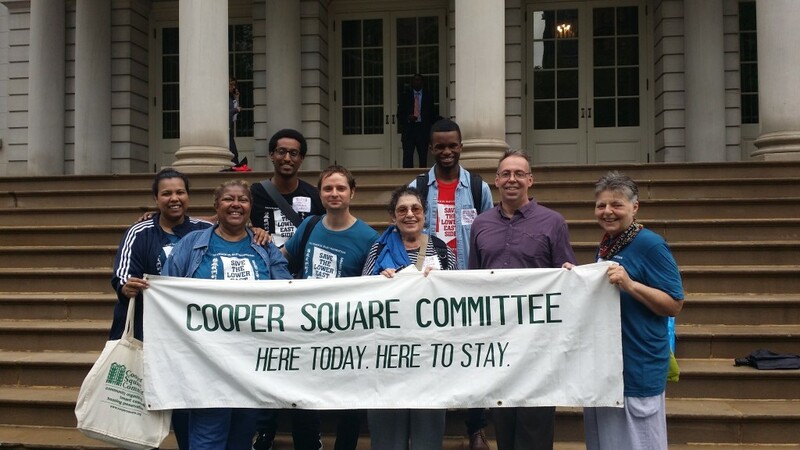 The Cooper Square Committee’s mission is to work with area residents to contribute to the preservation and development of affordable, environmentally healthy housing and community/ cultural spaces so that the Cooper Square area remains racially, economically and culturally diverse. The Cooper Square Committee provides housing counseling and social services, free of charge, to area residents — people residing between E. 14th St. and Delancey Street, from the Bowery to Avenue D. Since 1959, the Cooper Square Committee has been fighting the displacement of low income people from the Lower East Side by preventing evictions, counseling tenants about their rights, developing and preserving affordable housing on formerly city-owned land, facilitating the transfer of city-owned buildings to community ownership, and advocating for appropriate development. HDFC Greening Project in partnership with Red Cross and Con Edison Settlement Fund to provide low income buildings in the LES with energy efficient resources.